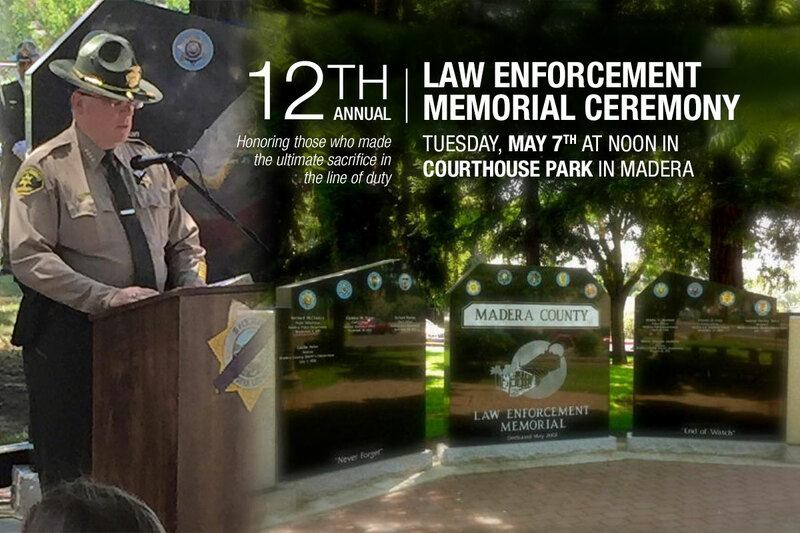 The Madera County Sheriff’s Foundation (MCSF) calls upon our fellow citizens to salute and remember the heroic men and women of law enforcement during Law Enforcement Appreciation Week May 5-11, 2019. It’s their duty to put their lives on the line and it’s our duty to honor them. Law Enforcement Appreciation Week is a special time to honor those that have made the ultimate sacrifice in the name of public safety. We hold them in the highest regard and want to honor them for the work they do. We can never repay our debt to these officers and their families, but we can pay tribute to their memory. We hope that you will join us in recognizing their bravery.